Jaymie Mark Matthews was born in 1958 in Chatham, Ontario. He obtained his bachelor’s degree in 1979 from the University of Toronto and his master’s and doctoral degrees in 1982 and 1987 from the University of Western Ontario in London. In 1988, he undertook postdoctoral research at the University of British Columbia in Vancouver. In 1991, he was hired as a research agent at the University of Montreal. He then became a professor at the University of British Columbia. Matthews is an asteroseismologist; that is, he specializes in the study of the vibrations (pulsations) that shake stars. All stars, like the Sun, vibrate at some time during their lifespan. The study of such vibrations holds great interest for researchers as it provides information on the internal structure of a star, and thus on its size, mass, composition and even age. In addition to asteroseismology, Matthews has other interests. In 1987, he began studying Wolf-Rayet stars, which are stars that liberate colossal amounts of matter into space. In 1992, he tackled the job of mapping solar spots on stars using Doppler imaging. In 1994, he used open star clusters and groups of open star clusters to calibrate a scale for cosmological distances. The year 1997 was a particularly significant year for Matthews. The Canadian Space Agency agreed to send a small telescope dedicated to asteroseismological studies into space. The space telescope is known as MOST (Microvariability and Oscillation of Stars) and Matthews was named Principal Investigator and Mission Scientist. In 2003, after six years of preparation, the MOST satellite was launched. 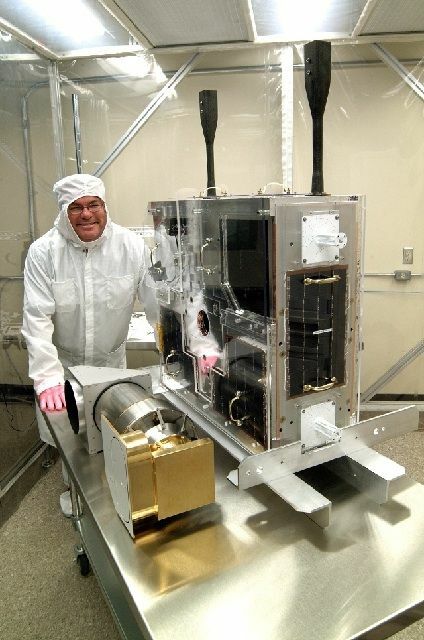 The satellite is the size and shape of a large suitcase, and is equipped with an ultra sensitive telescope that measures only 15 centimetres across. Despite its small size, it is ten times more sensitive than the Hubble Space Telescope in detecting tiny variations in the luminosity of stars caused by pulsations that shake their surface. Since 2004, the discoveries made by Matthews and the MOST satellite regularly make the headlines in the media around the world. In addition to his research activities, Matthews is constantly involved in all sorts of activities related to popularizing science: newspaper interviews, radio and television appearances, public conferences, telescope tours, supervising students in high school, evening courses, summer camps, work sponsorships, etc. Particularly popular with young people, he received awards for excellence in teaching in 1999 and 2002.